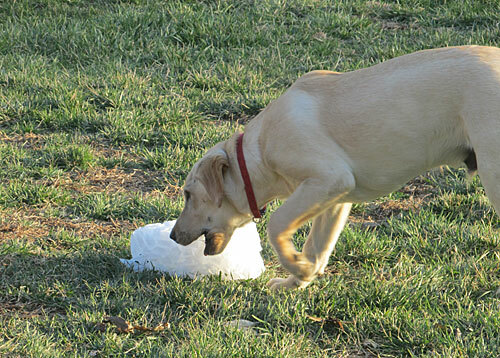 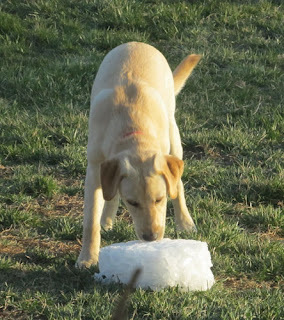 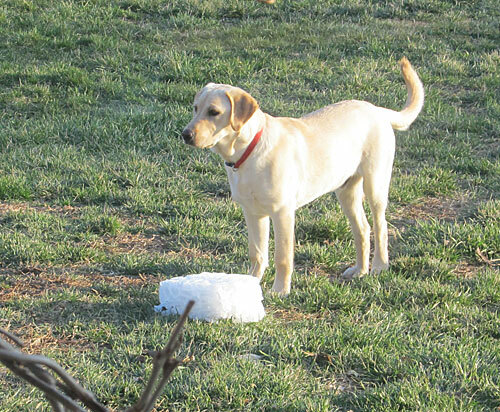 The For Love of a Dog icemaker needed a fresh start. Rudy is teething and addicted to ice cubes. A little bit of heaven for this teething puppy dog. 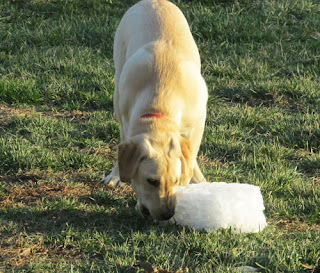 I've heard that they now have something for teething pups you put in the freezer and it will last longer than an ice cube when they chew it. 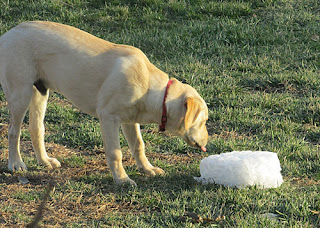 On little pups we always used to soak a clean washcloth and freeze it. 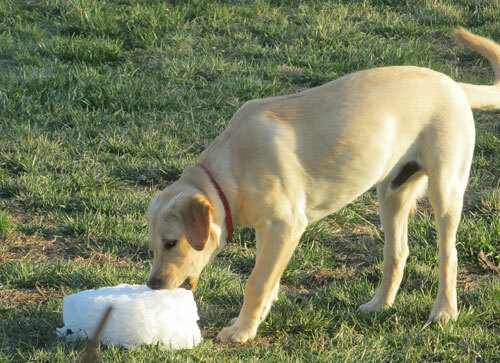 Looks like Rudy is one happy boy!